Jodi feels like her life is at a loose end. Her mother has just passed away and Jodi found herself stuck in a job she didn’t particularly like. She’s also single and feeling completely alone. She’d always had a regret she and Nick, a high school friend, had never managed to get together and see if the attraction she felt for him could lead somewhere. So when Jodi received the invitation for her five year school reunion she felt full of hope. 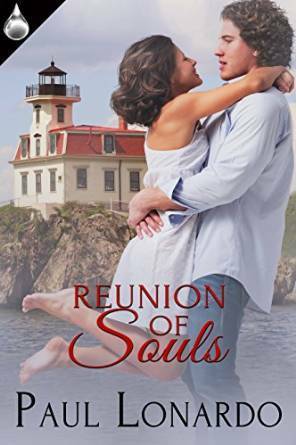 With the chance to reconnect with Nick too important to pass up, Jodi can only hope maybe this time around she and Nick could finally connect how she’d always dreamed of. This is a sweet romance, filled with the hope and joy of second chances. I really enjoyed Jodi’s positive attitude and enthusiasm. Even though she found herself in difficult circumstances and was still grieving for the loss of her mother, she remained positive throughout it all. Unwilling to allow herself to become mired in the rivalries of her old high school days, I also respected Jodi for rising above the petty jealousies of her old classmate. I really enjoyed how both Nick and Jodi discussed both the past and their potential future, reconnecting with each other emotionally first. There is no descriptive/explicit touching or intimacy in this novel, which I also found refreshing and helped me focus more on the emotional connection between the two characters. This might be a short story, but I had no problem feeling the emotional bond between Nick and Jodi. I felt the author did a great job with their chemistry and attraction. There is also some light conflict with old rivalries, but nothing to impede Nick and Jodi to getting back together. Overall I found this a happy, hopeful and warm read, one sure to leave a smile on many a readers face. I found the characters to be gentle and soft, and the sweet romance to be one suitable for all ages.